Kyle “Scooter” Burkart and I took a break from shredding the slopes of Crested Butte in the middle of a heavy snowstorm to escape to the Arizona desert for a much needed whitewater fix. 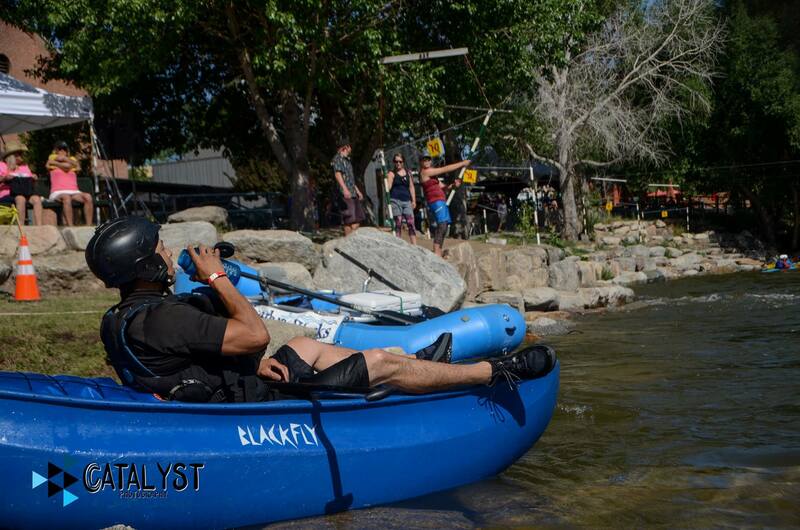 We met up with our good buddy Jeff Smith; a long-time Crested Butte local kayaker who led us down the Black Canyon of the Gunnison this past summer, as well as our old friend Tanner Tilley in his “new-to-him” Blackfly Option. It was his sixth time ever paddling it. We had a great team in place and were really excited to get on the water. The 50+mile section of river did not disappoint. 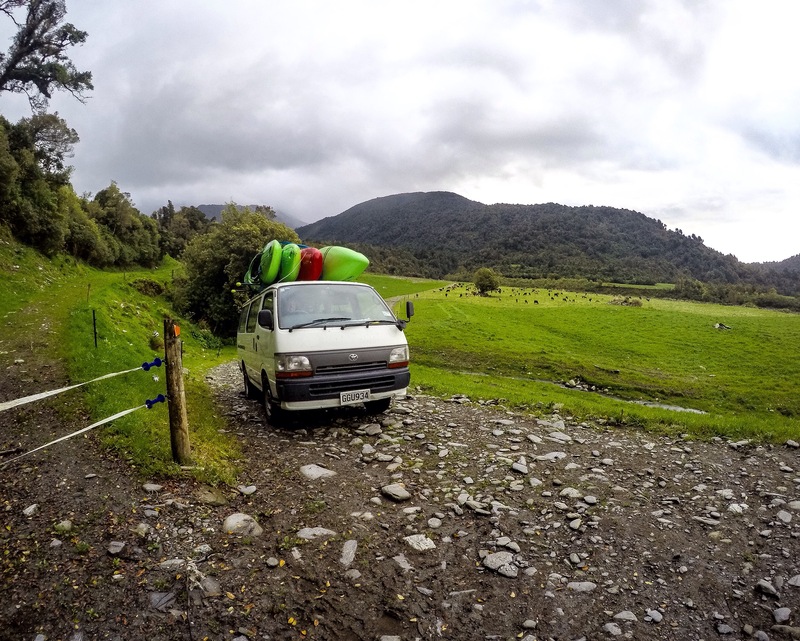 From the put-in rapid to the stunningly beautiful paddle out; we had an amazing time on the river and camping out on its banks. We put in the morning of February 13th after carefully packing all of our gear and food into our canoes. We had our personal gear in Watershed dry bags tucked along the bottom of the boat resting against the front and back of the saddle. This kept the weight as close to the center of the canoe as possible. 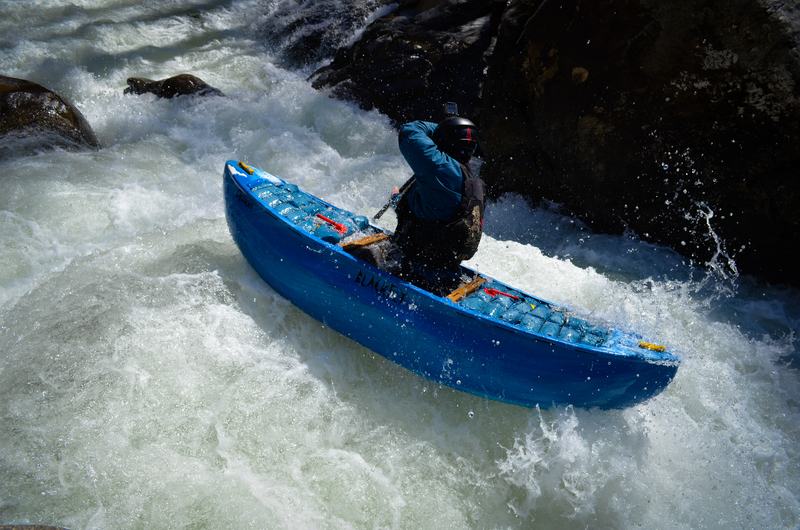 Admittedly, coming off the couch in the middle of ski season and paddling a boat full of gear down a river we had never seen (besides Jeff) at a healthy flow (appx. 3500 cfs at peak) was a little intimidating, but once we pushed off and rounded the first bend the nerves settled and it was all smiles. Day one our crew of four paddled just over 16 miles through some really fun rapids and wave trains. The highlight of the day was Mescal Falls. This was the first rapid we scouted, and I’m glad we did because it was a pretty big hole. We then entered into a really cool white granite gorge. This section was pure fun. We paddled through the gorge for a couple miles before finding a great beach to camp on. We broke out the collapsible fire pan that Jeff made, and hung out under the stars. In the morning, the gauge rock I had picked out was nowhere to be seen. The river was rising! 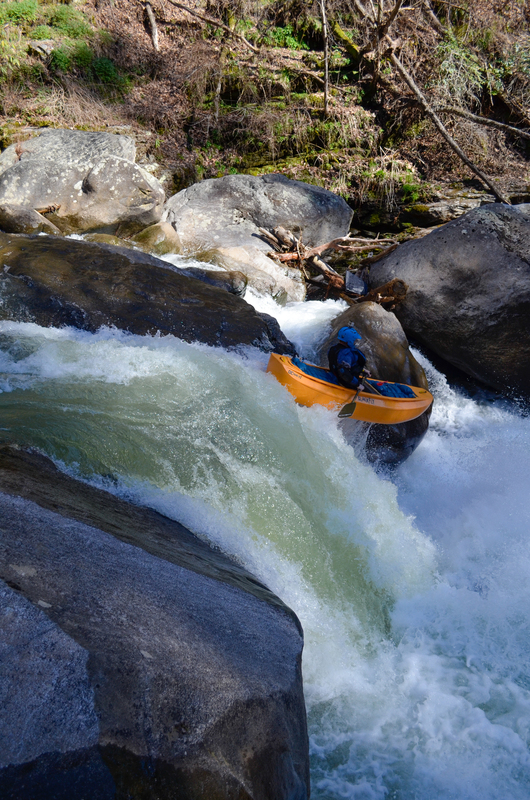 We got back into the flow and paddled another 12 miles or so through some awesome wilderness. 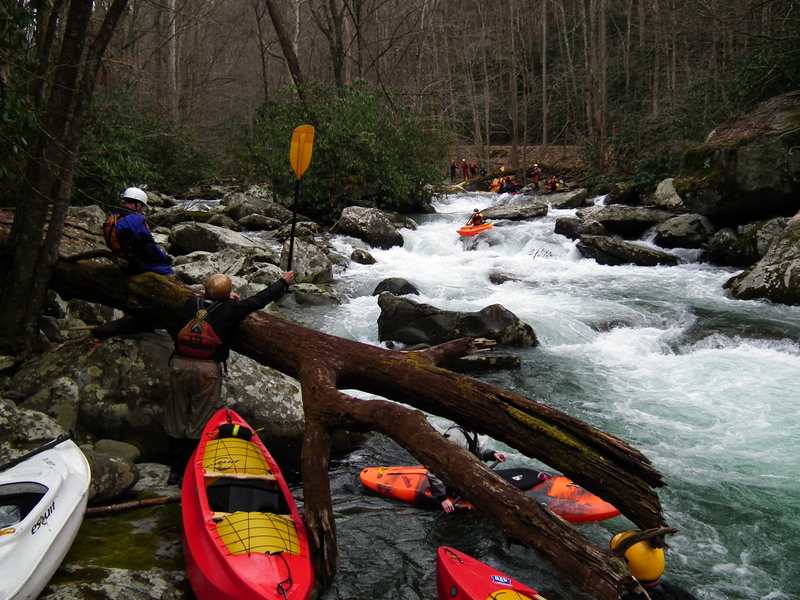 We ran our first of the bigger rapids, called Black Rock. It was a fun ride through crashing waves and had a big-water feel. Our camp on day two was equally as cool as the first. We set-up our shelters and hiked up a nearby wash and found some clear water to boil for our dinners and water supply. We all got a good night sleep since day three was the biggest whitewater of the trip. Day three we entered Jump Off canyon. The walls came in on both sides of the river and it was more constricted than we had seen before. We paddled through Pinball and The Maze (Very unique rapid names) and when the canyon walls started getting more and more dramatic, we knew we were approaching Quartzite falls and Corkscrew; the most notorious rapids. It was a lot of fun running through Quartzite and Corkscrew, and finally Sleeper. This rapid name was pretty spot on. Our campsite on night three was my personal favorite. It was a huge sandy beach across from Cherry creek. 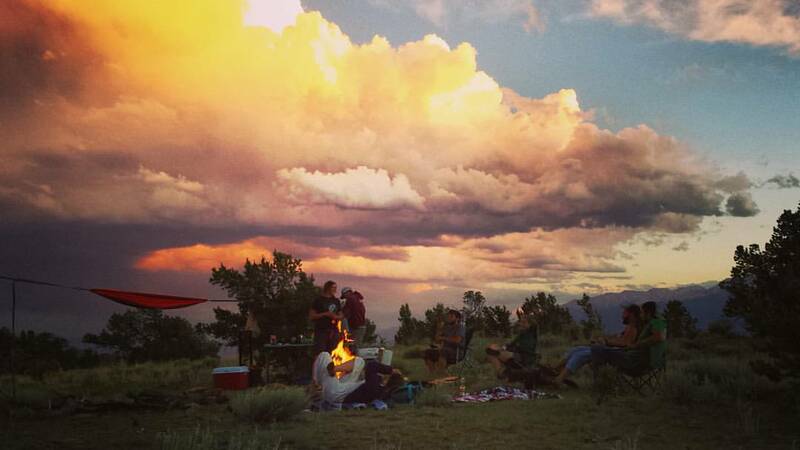 We watched the sunset that night and the stars came out in full force. The next morning we hiked up through cactus fields to a big rock structure atop a hill. Jeff and Scooter had an encounter with the infamous Teddy Bear Cholla; a very touchy-feely cactus that seems to almost jump out at you. We found a way up the 30’ high rock tower using steps that had been carved out by Native Americans long ago. Once on top the views were amazing. We could see in every direction and really got a feel for the depth of wilderness we were traveling though. We even found some pottery shards that had paint on them. The paddle out on day four was much different than the three prior. No one even noticed the extra weight in the canoes anymore. We had made it through the heart of the canyon, and our trip was coming to an end. Everyone was pretty quiet as we paddled through more beautiful country. We listened to the river and the birds, and just tried to take it all in while we still could. Admit it…as soon as you figured out how to get the canoe to go straight, you started imagining all the amazing places you could go canoeing. 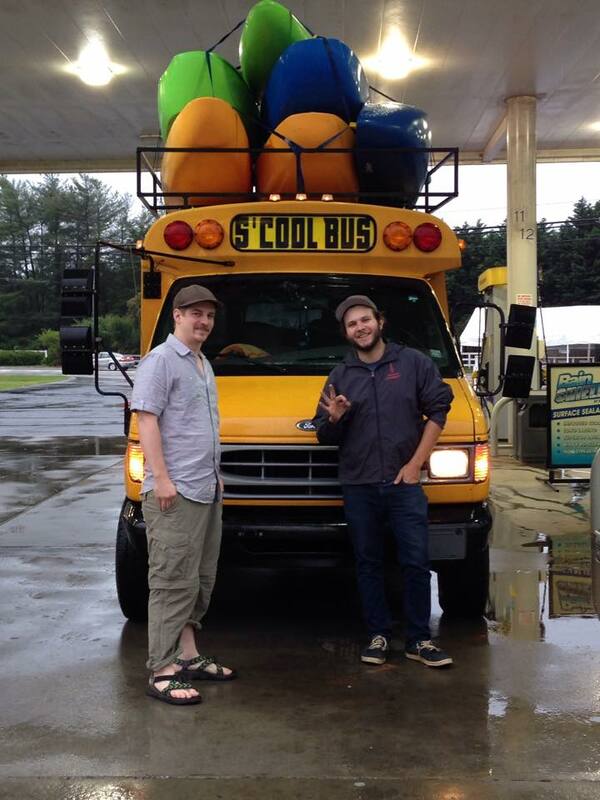 I’ve been lucky enough to paddle all over the world, and some of my favorite canoeing memories came on road trips with friends. 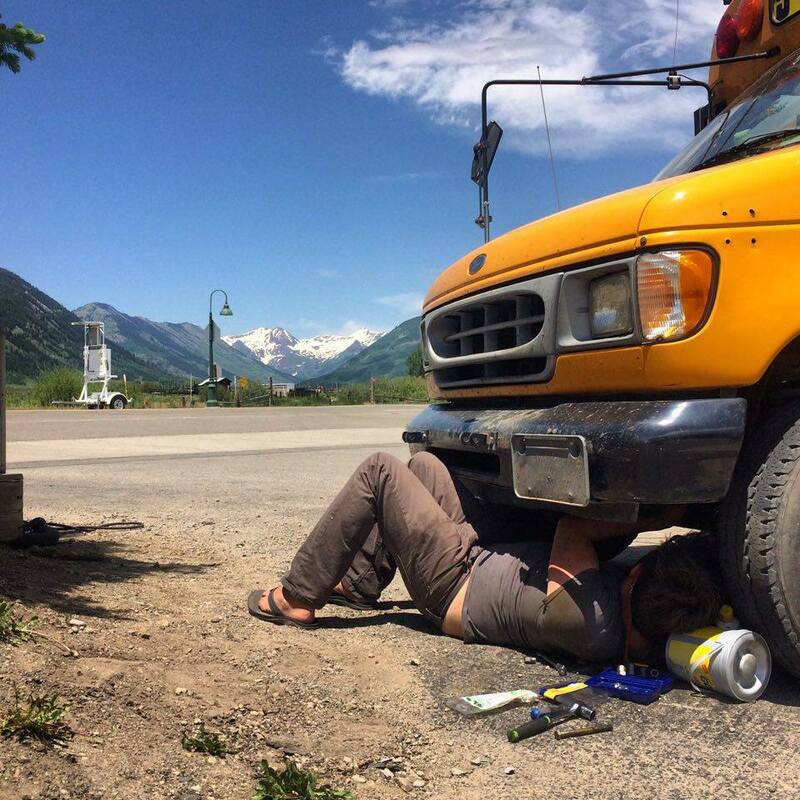 In 2016, I spent five months on the road with Blackfly, taking demo canoes to Colorado, the PNW, Canada, and everywhere in between. 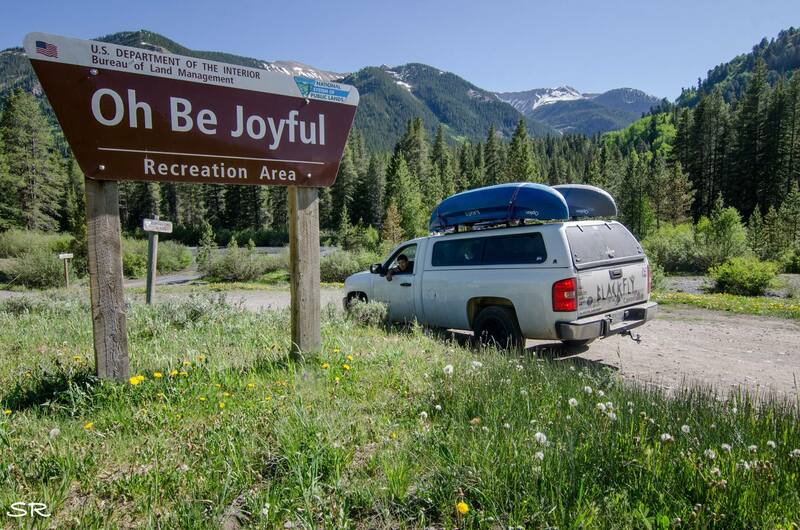 Here are five keys to having a canoeing roadtrip of a lifetime! 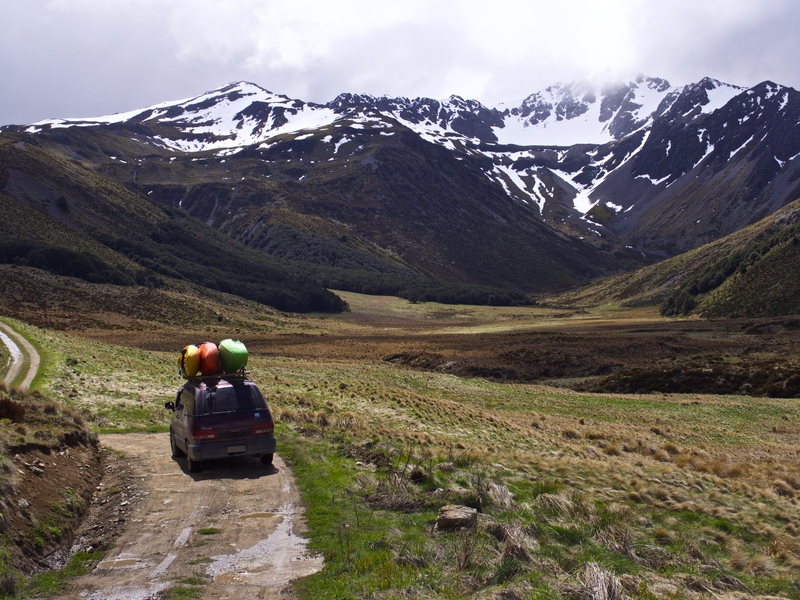 Let’s face an ugly truth head on…it can be hard to find people willing to paddle with canoeists, particularly out west. 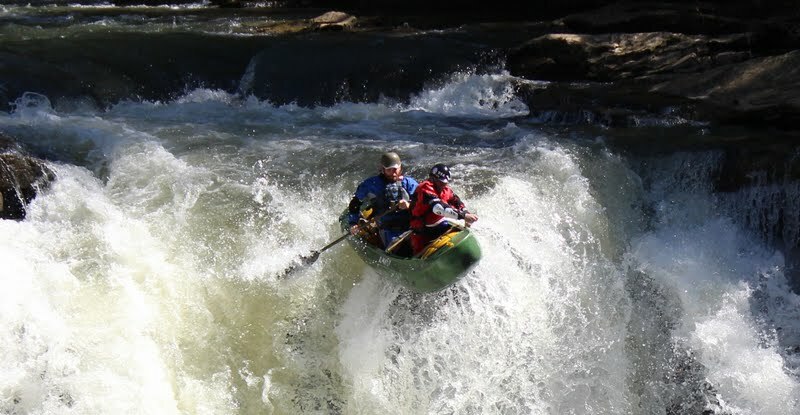 As the red-headed stepchild of the whitewater world, canoeists have been known to be left at the put in by bro-brahs and other jerks not willing to sacrifice the “jah-churchness” of their lap to show someone new down. 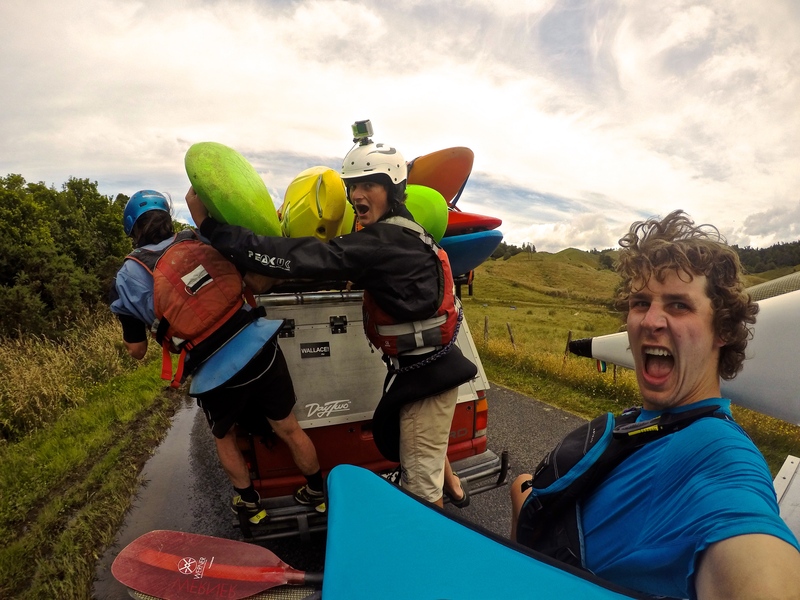 So on a road trip, it’s nice to have a few others in the car who enjoy paddling runs of similar difficulty, so that you can be self-contained. That said, I’ve met some amazing people at the put-ins of the Callaghan, Jalacingo, and Green who were willing to take a chance on me. I try to pay that forward as much as possible, starting with takeout beer for your local guide! 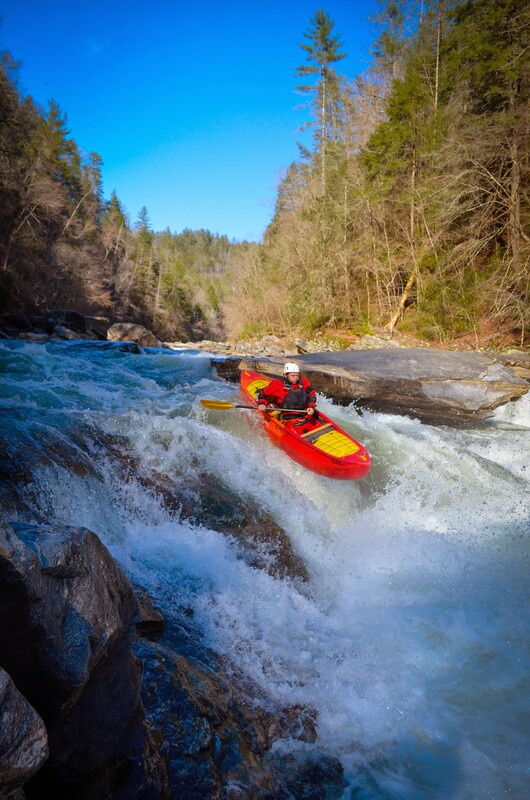 When you pull out a map, it’s hard not to think, “okay, on Day 1 I’ll paddle here, and then on Day 2 I’ll paddle here, and then on Day 3…” Once you’re on the road, you’ll find that the truth in the famous Mike Tyson quote, “Everyone has a plan until they find out the river dropped out”… (I think that was it). So try to leave yourself time to get lost, fix cars, and find places you don’t want to leave. You might get somewhere that requires more than just a day of paddling to fully enjoy, and you might find a place you thought was going to be awesome isn’t as great as you thought. That’s okay! Be flexible, willing to change. You’ll end up having way more fun if you don’t treat the trip like a checklist, and miss all the cool stuff in between. That said, have a bit of a plan. A guidebook can be critical in learning about the best runs in unfamiliar drainages, with gauge info, shuttle logistics, and accessibility already figured out. 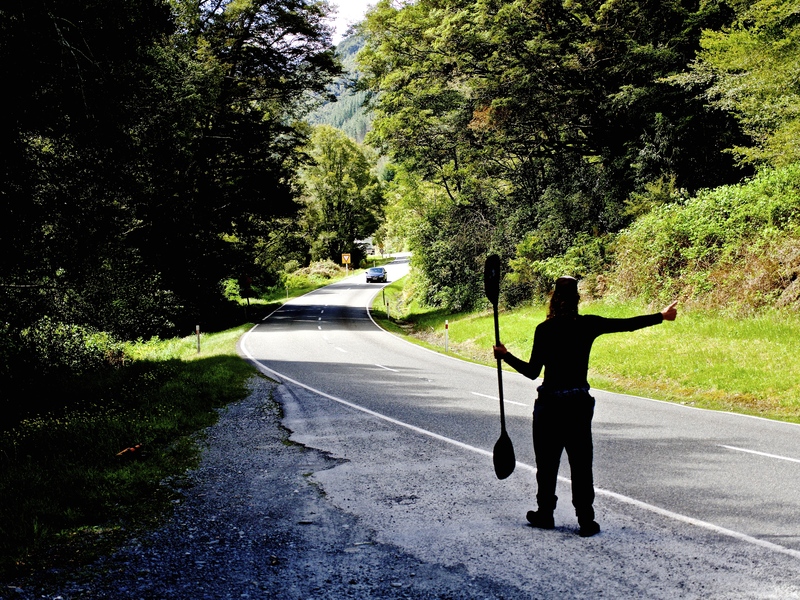 At the end, it’s up to you to decide what makes a good canoeing road trip. Often times, Facebook is filled with pictures of the highlights, the epic drops and stout rapids that people ran. This scares some people (myself included) into thinking, “should I really go to X if I’m not running Class Y?” Don’t fall into that. 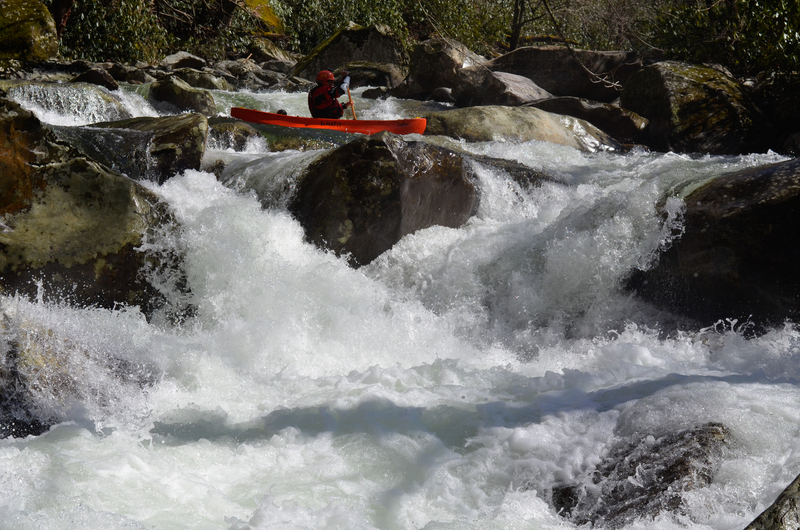 Every place I’ve ever paddled, from Mexico to British Columbia, Switzerland to North Carolina, has had just as many amazing, beautiful, epic Class II-III runs as they’ve had Class V runs. One of my favorite days on my last summer road trip was paddling the Middle White Salmon with my girlfriend. 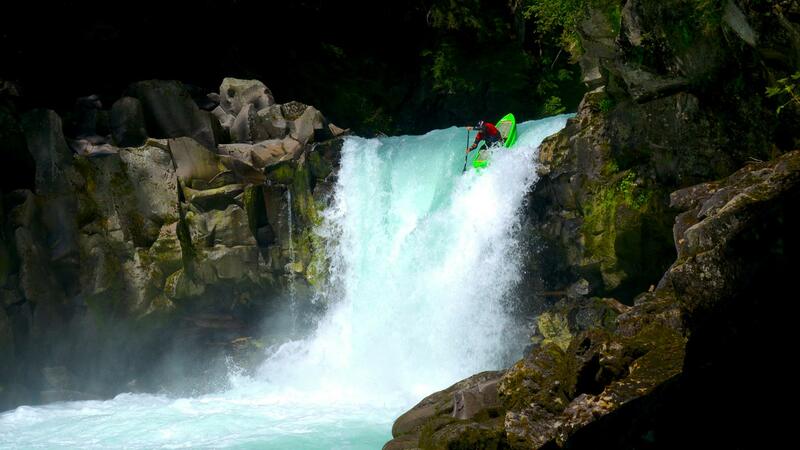 There is fun whitewater out there for every paddler, the key is finding it. One last bonus tip…take pictures and video. Whether it’s an awesome DSLR shot or shaky GoPro footage, you’ll want to capture the memories of a trip of a lifetime! About a year and a half ago, I decided I needed a CNC router for Blackfly, because…well, if you look at US manufacturing data, you can see that we’re making almost twice as much in this country, with a third fewer workers than 30 years ago. With as much as we hear about the death of American manufacturing, it’s almost hard to believe, but when you think about the advances in technology, it makes sense that we’d be seeing huge increases in productivity. And as the cost of those technologies decreases, it filters down to smaller and smaller operations, like my goofy little canoe company. So after a few months of head scratching, reading reviews, comparing options, running cost/benefit numbers, and my usual geeking out and learning as much as I could and overthinking things, I picked out a kit and pulled the trigger. Once it all came together and started moving on it’s own, it became obvious this thing was going to be ludicrously useful. Oh, and there was going to be a steep learning curve. Oops. there should be a “G0Z0.1” in the code there somewhere…. But eventually, I got a lot of it sorted out, sorted out the proper bits for cutting saddles. Cutting saddles. these are the back half of a Tandem Saddle. Cutting saddles is the most frequent task for the machine. I was previously getting them water jet cut, but doing it in house saves a good bit of cost and takes about 5 minutes each; 5 minutes I can spend working on other things. But there are plenty of other jobs it makes so much easier, and less boring. Previously, I was drilling holes in the thwarts on a drill press. Between counterbores for the the thwart screws, countersink for the dowel in the middle, airbag lacing holes, etc, there were about 10 holes I had to put in each one. Now it’s down to… eh, I don’t really know, I just load 28 thwarts on the machine and hit go and let it do it’s thing. Drilling holes in thwarts is boring. I use plastic rods to hold the footpegs to the saddle. Each rod needs to have pilot holes drilled for the screws. I used to get blisters from trying to hold onto the rods while I drilled them on the drill press. And it’s tedious, monotonous work. Footpeg dowel pilot holes. the plastic shavings tend to build up on the bit, so it only drills about a quarter inch at a time before retracting to clear the shavings, which is easy to do with a machine, more tedious with a human. Ultimately, the thing that steered me toward getting a CNC in the first place was being about to do CAD designed plugs for boats. It’s always been a challenge for me to get curves faired and boats symmetric when I’m shaping by hand, and having a machine do it for me was too appealing to resist, even if I do have to do it in small sections and put them all together. A prototype of the Condor shaping up. As a one man operation, my level of productivity is hugely important to me, and having what is basically a robotic version of me that’s generally faster and more accurate has been amazing. While it’s cutting a saddle, I can start gluing the saddle that just came off. While it’s drilling holes in thwarts, I can be oiling the previous set of thwarts or running the next set though the table router. At least that’s the theory, I do spend a bit too much time just watching it work, especially if it’s a one-off piece. It’s really kind of amazing, both to watch it work, and to think about all I can do with it. I’ll be pretty interested to see as technology continues it’s march forward, what will happen in manufacturing. Economic theory tells us that increased productivity is good for the economy because it frees up workers to do other things. I know it certainly has for me, and has saved me money, not only over hiring someone to help out in the shop, but actually over farming out tasks I couldn’t do previously. But on the other hand, automation does reduce the number of workers required, which means fewer jobs. As the price of technology like this comes down, will we see more small operations like Blackfly adopting it in innovative ways to make really cool stuff, and become larger economic forces? Are there ways for small shops like mine to share resources that aren’t in use all the time? All tough questions to answer, but for the time being, I, for one, welcome our new robot overlords. A miniture Condor that started out as a piece of firewood from my log pile. 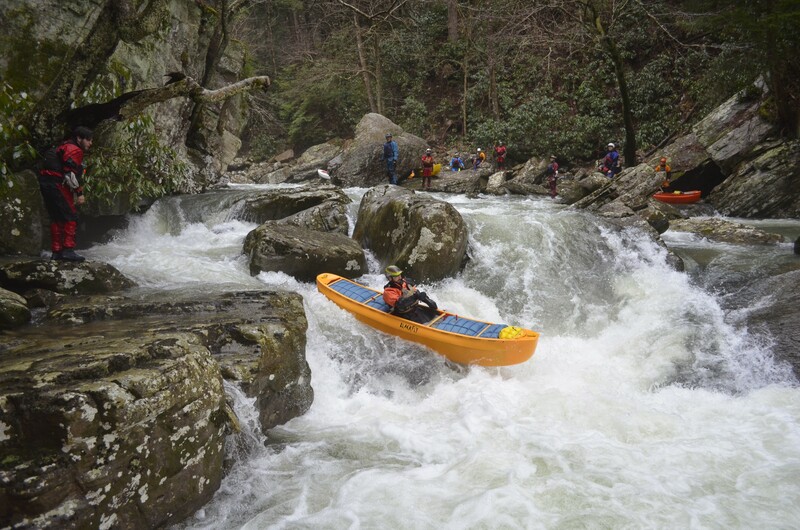 As winter drums on in the Northeast often through March, thoughts of steep rocky creeks, warm weather and unbeatable camaraderie keep me coming back to the Southeast every spring. In six years of experiencing the yearly ALF gathering, the people I’ve met and the places I’ve been have created lasting memories, glimpses of which I’ve been lucky enough to capture on film. I hope you enjoy this retrospective. March 12th is just a few more weeks away! … and caught the hike up, up, up Elkmont section. 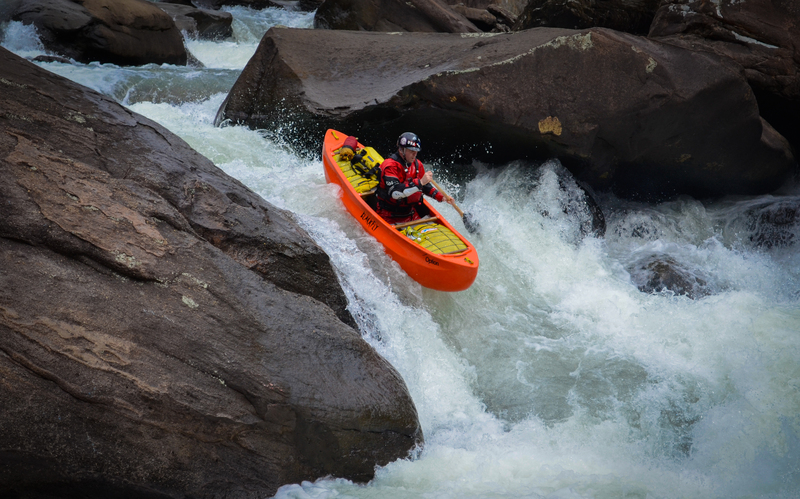 … and had a heck of a tandumb race on the Tellico. … and threw some flips at Eternity Hole. Some of our adventures looked even sketchier on film. 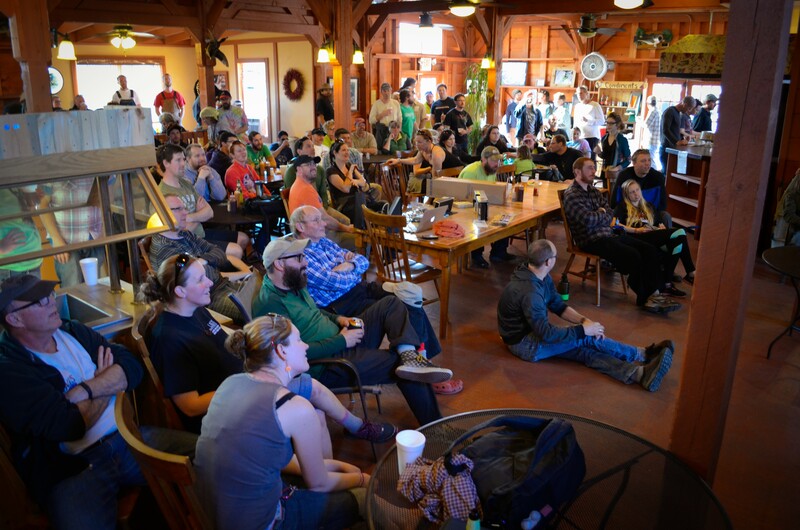 … and we bucked some long rides in the hole at Soc-em-dog on purpose. I even had the time to throw together a decent flick about the trip. … with a heck of a team. … we even survived the Suicide Section. 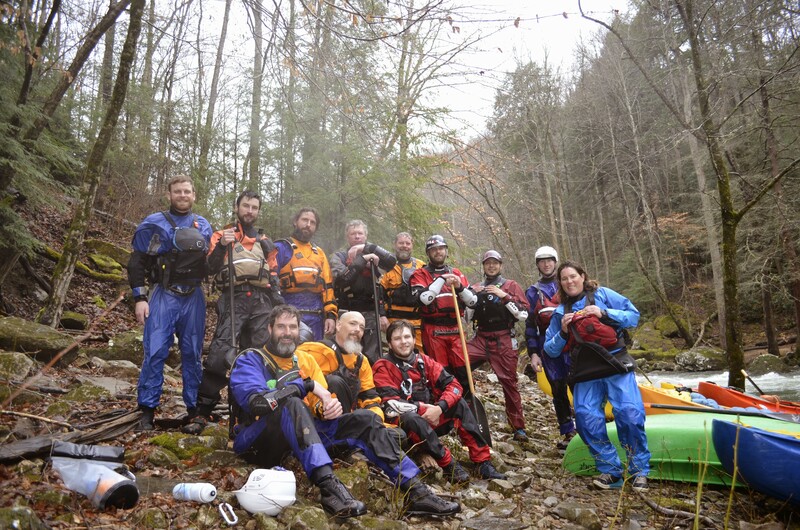 Who knows what creeks we will find in 2017, but I’m sure that they will be filled with great friends, old and new … likely a bunch of laps on the Tellico too. I hope that you can join us. Anyways, after many flight delays, missed flights, lost baggage and 30+ hours of travel, I made it to Christchurch. 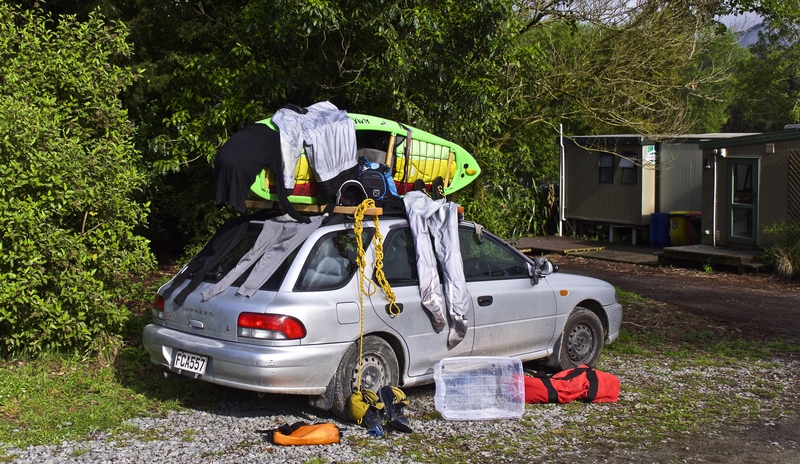 After buying a small Subaru Impreza and making proper wooden roof racks. 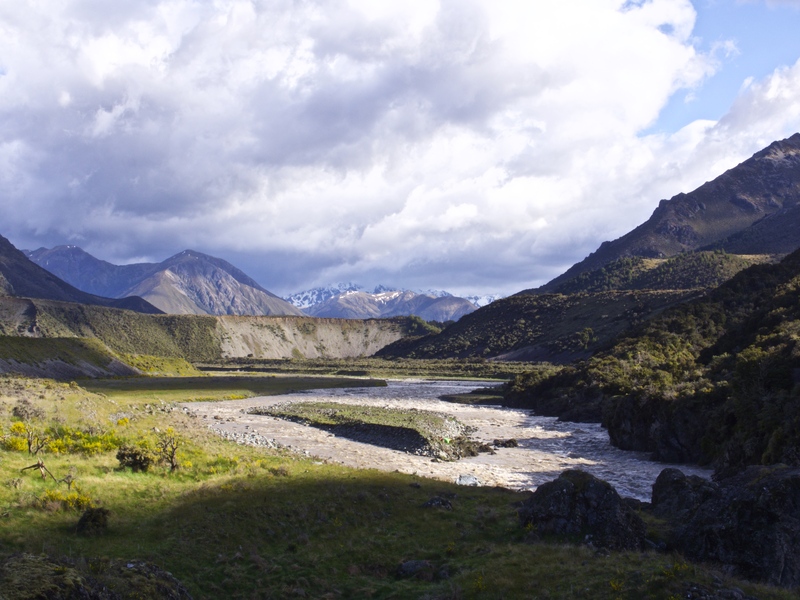 I rallied to the Hokitika on the westcoast where I had some friends. It was amazing to be able to spend some time on the coast. The way the mountains mix with the sea is so beautiful. Sadly the rain wasn’t cooperating, and the majority of runs were ether low or not running. It still was a wonderful time with fun runs and great friends. 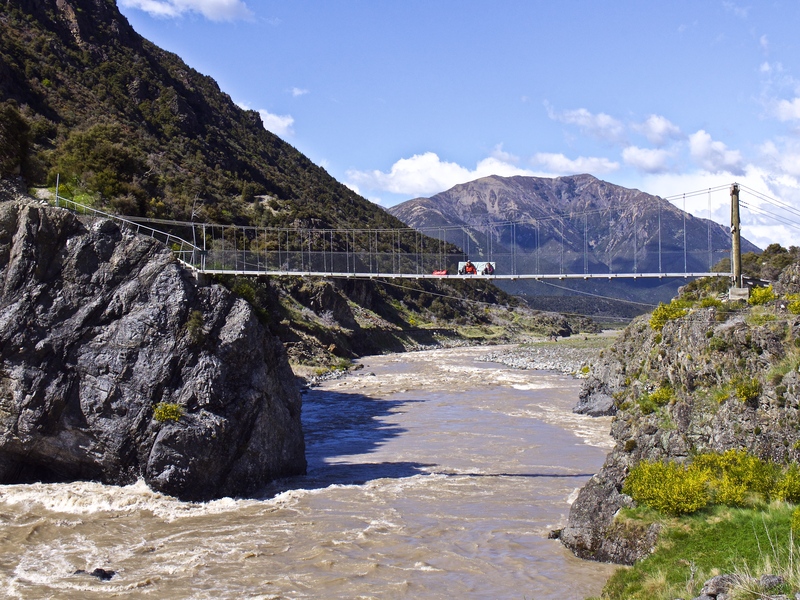 After some time in Hokitika, I decided to hit the road and head up to Murchison and the more central north section of the South Island. 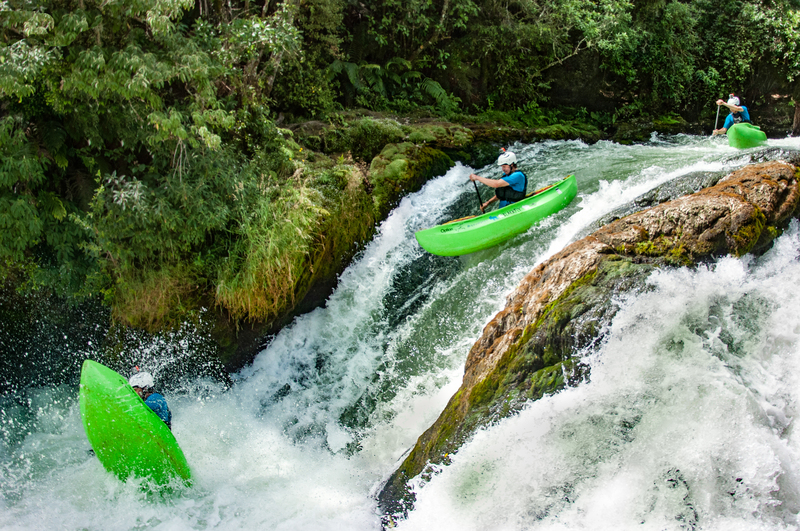 Murchison is home to the New Zealand Kayak school and a bounty of class 2,3,4 runs. It attracts a large amount of boaters and I found it was always easy to meet and get out with someone. It is also a wonderful training ground to work on your technique. Some rare sun to dry out my gear. 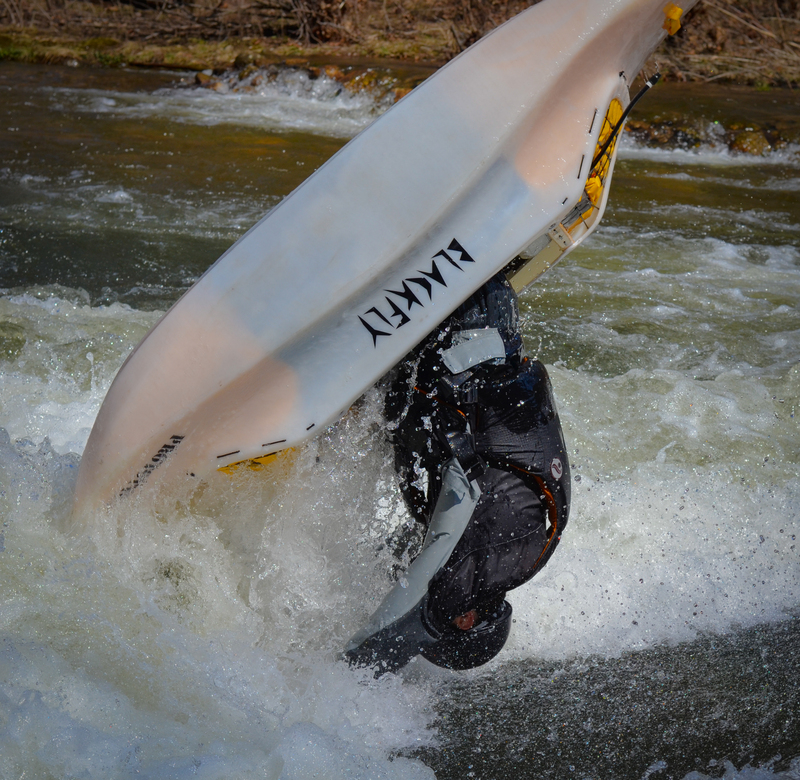 While in Murch, I ended up paddling with two Americans a good bit. After a week or so there, They came up with the idea of doing a short multiday on the Waiou. Now to go make a long story short, this trip ended up being amazing. We had everything we needed to make it a “very” memorable trip. Beautiful sun covered mountain peaks, huge earthquakes, amazing whitewater, massive floods, stellar company, to list a few of them. Oh yea, and Helicopters. Basically the trip went like this, day 1, Amazing Sun and beautiful landscapes, night 1, a massive earthquake happens. Day 2, awesome day on the water in some class 3,4. night 2, rain falls pretty heavily. Day 3, the river had come up 3-4 feet due to the rain and we decide to stay where we are and let it drop. Day 4 we were on our way out, when one person swam and we got cliffed in without their boat. So she was then nicely lifted out by some friends from above. Basically thats it in a nutshell. Getting to the put in. May be high water but that doesn’t mean we can’t have a pleasant day. Our Friends from the sky. 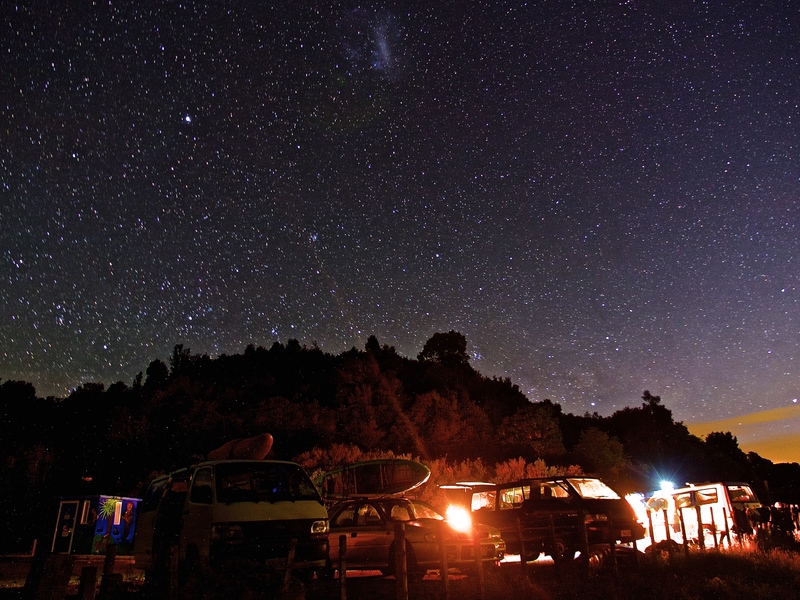 After that trip, I ended finding myself at the Kaituna up on the North Island. The Kaituna has a couple things going for it. Firstly the river is amazing. Class 3ish 4-, clean drops and lots of fun eddies and moves. It also has a super easy shuttle. 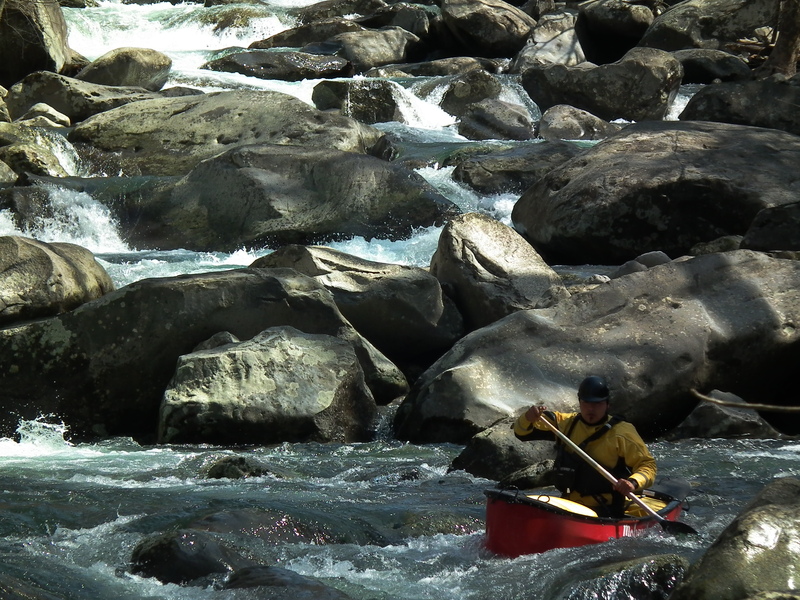 Secondly, the paddling community around the area is stunning. There’s the locals (vast majority of whom paddle) who live in the small village Okere Falls at the put in. And then there are the dirtbags who camp out at the takeout of the river. Lastly, there is a wonderful cafe at the putin that has amazing meat pies. Since I had been living out of my car for almost two months, I found I fit right into the crowd at the takeout. I was amazed to find the wide range of paddlers who stayed there. Everyone from pretty new paddlers to crazy Belgium boaters, to the female champion of this past Sickline. Anyways, the community that forms there is amazing. I found that the Kaituna was a wicked training ground to work on fluidity. 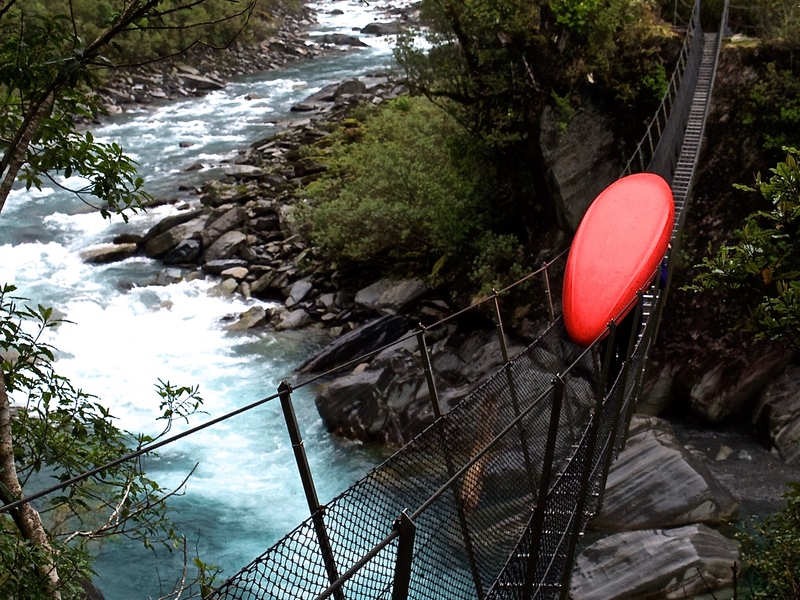 It also was just plain fun to go down, aka swim/inner-tube/do whatever your heart desires. 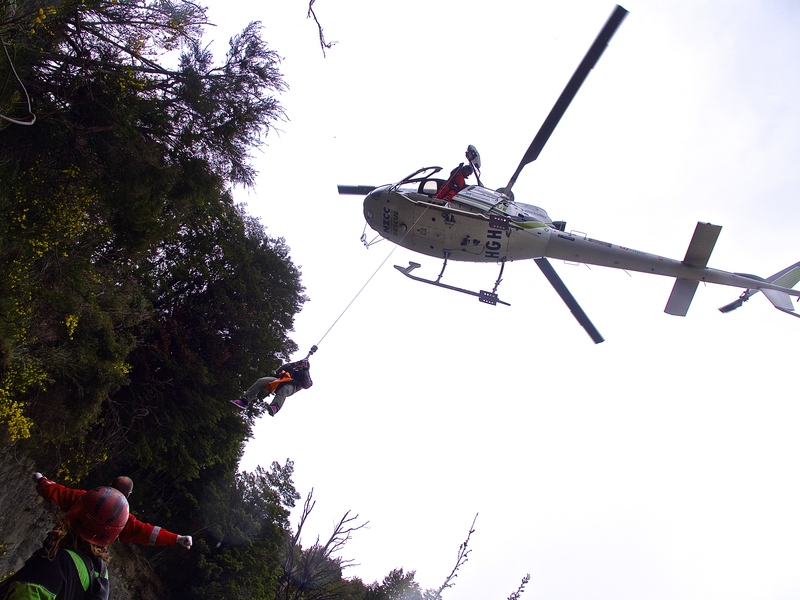 The takeout of the Kaituna. 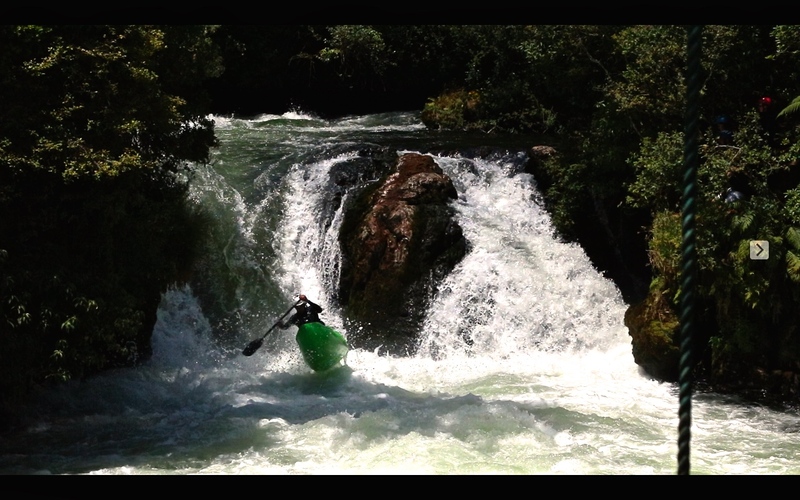 Going for the left line on Tutea falls. Getting the sought after skip on trouty’s. For the first chunk of time on the Kaituna, I found that I was always getting asked the same questions. 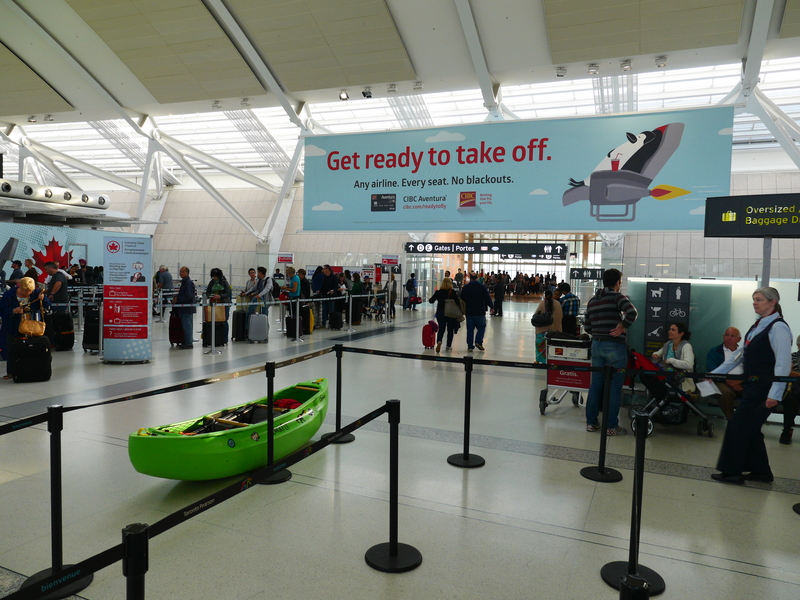 “What’s that?” “Can you roll it” “Its a Canadian Canoe!” “Hows the waterfall go” etc. It was kinda interesting to see peoples perception of what you should and shouldn’t be able to do. After a bit of time there, I decided to start running the takeout waterfall called Trout Pool falls. It is a pretty simple delay boof with high consequences. It has a nasty boil/towback and a very high beatdown potential if you mess it up. After getting my line dialed in, I found most questions about my boat died down, and people had more respect for me and my canoe. Not the best line, but it was fun. Every so often, the group at the takeout would rally, and we would head south to the central north. This is where the waterfalls abounded. I found this was a great way to test what I had been practicing in a different and more challenging environment. 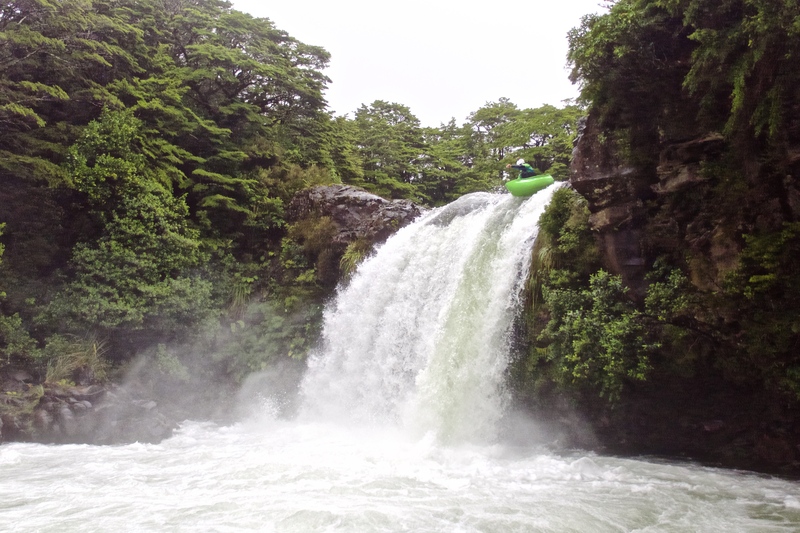 Probably my favourite drop was Huka falls of the Waikato River. Its an amazing mini canyon that goes through a couple class 4 drops and ends in a high volume 20 footer. My first couple lines weren’t perfect. (I swam once.) But in the end, I was super happy with my lines and the two days I got on it. Just a little bit of water going over it. 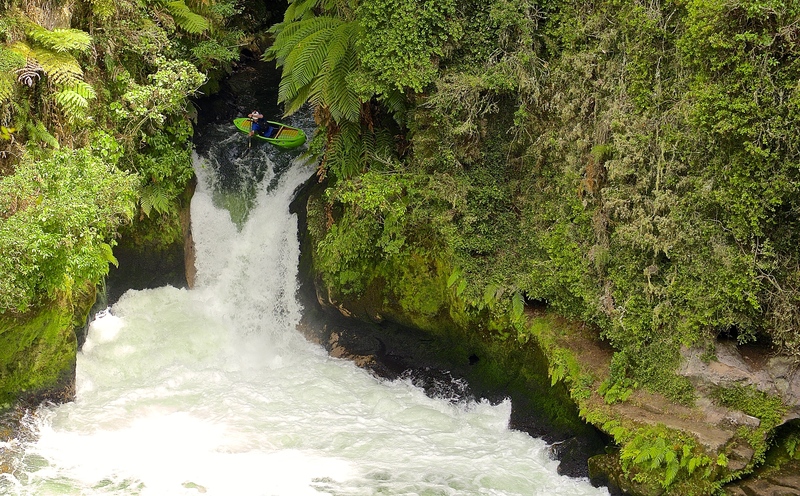 The main other waterfall of note would be Tawhai on the Whakapapa river. I got down there twice. 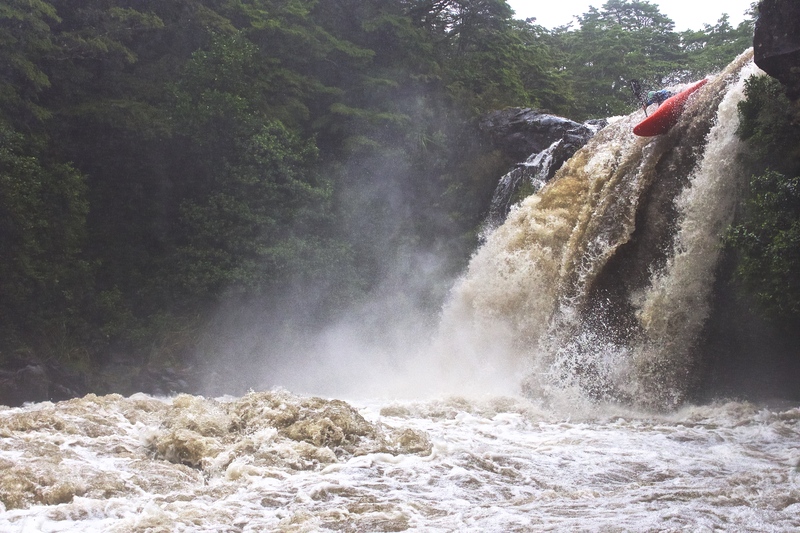 The first time was during a massive rainfall and the river was going hard. I opted to pass due to the pool at the bottom being one massive boil. Thankfully, two weeks later I was able to make it back down there. The flow this time was way more reasonable and I was able get some proper laps on it. Having a proper flow on Towhai. Now I am currently back down south in Christchurch. Realizing that my trip thats stretched over the past 4 months is coming to a close. Overall I am super stoked for the time spent down here, and the people that I’ve met. I guess its now time now to look to Ain’t Louie Fest and plan for the time when I am back in the midst of all the canoes and spring melt. Its going to be good. Transit times have gone down too!